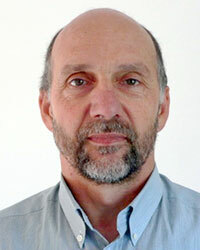 Rick is a Monitoring and Evaluation Consultant based in Cambridge, UK. His clients are international development aid organisations. His skills include the management of evaluations, the design of M&E strategies & frameworks, M&E capacity building and the development of evaluation methodologies. He has worked extensively in Africa and Asia over the last 30 years. More recently the focus of his work has been on the quality assurance of evaluations and providing specialised technical support to evaluation teams. His PhD thesis on organisational learning in NGOs in Bangladesh led to the development of a method of impact monitoring known as the “Most Significant Change” (MSC) technique, now widely used in developed and developing countries. In recent years his focus has been on methods of representing, analysing and evaluating complex programmes. These include the use of Social Network Analysis tools, Predictive Analytics algorithms, and a Qualitative Comparative Analysis (QCA) perspective on causation. Rick also manages the Monitoring and Evaluation NEWS website, and associated email lists with global memberships, which have been in operation since 1997.